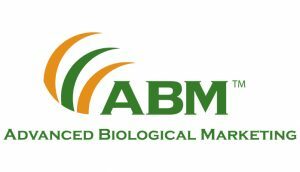 We are authorized retailers for Advanced Biological Marketing (ABM) and their complete line of seed inoculants for corn, soybeans, wheat and alfalfa. Inoculating your crop with Rhizobia and Trichoderma microbials helps stimulate root growth, competes with root pathogens and enhances nutrient utilization while increasing plant stress tolerance. Head here for more information on ABM and their entire product portfolio. Graphex-EX SA for soybeans is a planter box treatment that can be added just before planting at the planter box. It consists of a talc/graphite formulation as the carrier for the Bradyrhizobia and Trichoderma. SabrEX for corn is a planter box treatment that can be added just before planting at the planter box. It consists of a talc/graphite formulation as the carrier for the Trichoderma.